My introduction to Richard Dillon was the 2014 release The Land of Nod and Lullabies for The Listless. I covered it in April of this year and I did not expect to have another opportunity to hear this music so soon. I of course welcome that experience. Irish Mist is contemporary new age instrumental with a Celtic theme weaved in the fabric of its musical output. Richard plays elegantly and with an underlying current of passion that is recognized by this listener. You would never recognize that when you just “hear” the music however there is more to it. The music carries with it emotional substance and purpose. Without words, it steadily enters your consciousness and travels to the heart and then into your soul. Inside the music are stories interpreted through this talented man’s fingers. The most prolific example is the life and times of an Irish immigrant toiling away “Into the Mines” to feed his family. The song echoes of the past and the violin enters the track almost weeping, asking for relief as the ivory keys beckon it again and again. The song bends your heart strings as you envision the hard and dangerous work of men in the mines. This is the kind of picturesque movie that flickers inside your head while you listening to a tale that comes alive in the music. That is not an easy thing to accomplish, and to do it with such impact and feeling is what makes it so real. That is what great music should do, move you, push you to a state of consciousness and introspection. A place that cannot be reached when laser focused by your work or by the events of a day. 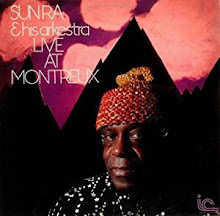 Call it what you will - new age, instrumental, contemporary, classical or meditation, this is chicken soup for the soul music. If you have the inkling or the need to listen to something spiritual and relaxing and soothing, well then, this is your ticket to all those moods in one sitting. 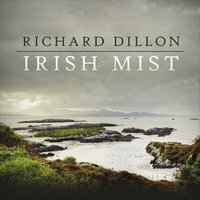 Irish Mist intersects with culture, history and the psyche of a human mind and then sets it free.